Discover the benefits of our innovative Brachytherapy treatments for cancer patients at San Cristóbal Cancer Institute. Also called Internal Radiation, Brachytherapy is one of our sophisticated types of radiation therapies used to treat cancer. The technique allows doctors to deliver higher doses of radiation to more specific areas of the body, compared with the conventional form of radiation therapy (external beam radiation) that projects radiation from a machine outside of your body. The term Brachytherapy refers to various procedures that place radioactive material inside your body. It is not as common as external radiation, where a machine sends radiation beams into the body. For certain types of cancer, brachytherapy is as effective as – or more effective than – external treatments. It may be completed in less time. In some cases, brachytherapy is combined with external radiation therapy. During brachytherapy, you’ll receive a permanent or temporary implant containing radioactive material. There are many types of implants, including seeds, wires and balloons. Your implant will be placed inside, or next to, your tumor. The type of brachytherapy you’ll need depends on several factors. These include the size and location of your tumor, and whether you’re also undergoing other cancer treatments (like chemotherapy or surgery). Brachytherapy is often used to treat cancers of the breast, prostate, cervix and uterus. All types of radiation therapy kill cancer cells. But brachytherapy offers several advantages. For example, it can treat a smaller area of the body, with higher doses of radiation, in fewer treatment sessions. Meanwhile, because radiation is confined to a small area of your body, there is less damage to nearby healthy tissue. One of the most notable advantages is that Brachytherapy may cause fewer side effects than does external beam radiation, and the overall treatment time is usually shorter with brachytherapy. Following permanent brachytherapy, your body might give off tiny amounts of radiation while the implant is active. Your doctor will tell you if you should limit contact with pregnant women or young children. Permanent metallic implants may also trigger metal detectors during security screenings at airports and other facilities. Brachytherapy may cause temporary side effects. These often include fatigue, swelling or tenderness in the treatment area. Brachytherapy for prostate cancer may temporarily or permanently impact male fertility. If you’re concerned about having children, talk to your physician. He or she can recommend options to preserve healthy sperm before you begin treatment. 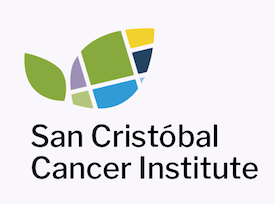 If you have questions or concerns about brachytherapy, please talk to one of the cancer experts at San Cristóbal Cancer Institute. We’ll help you understand your options and make decisions best suited to your condition. If you’d like to learn more about our Brachytherapy treatments or any of the other services available at our state-of-the-art Cancer Center, please contact us.